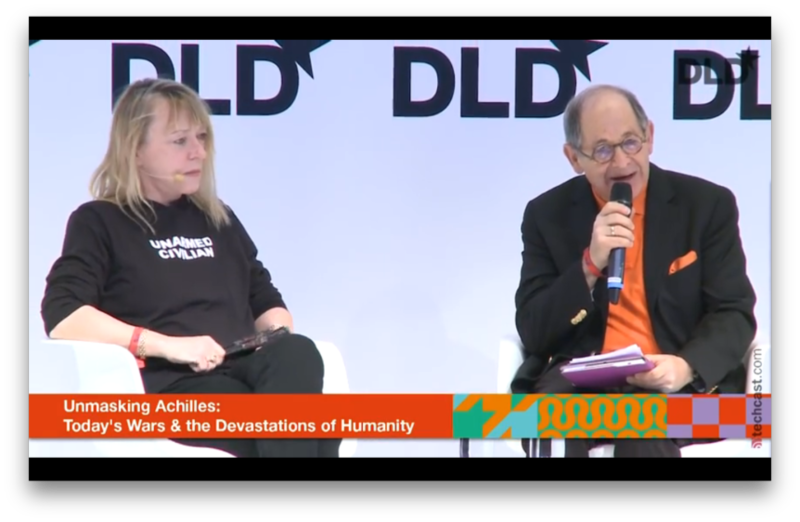 Nobel Peace Prize Laureate Jody Williams and Ralph Simon in a stirring conversation at DLD, the extraordinary gathering that takes place in Munich at the start of the year. DLD is a great showcase for what’s coming next – in tech, and in what is affecting political and industry decisions around the world. Mobilium has a special insight into political strategy that affects digital and mobile businesses and brands. Jody Williams is also the founder of the Nobel Women’s Institute, the institution that specifically brings all of the world’s female Nobel Peace prize Laureates together for a very strong and unified voice for women and women’s issues around the world.